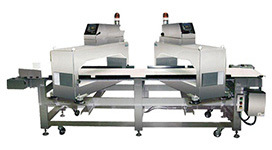 This model of conveyor mounted metal detector is designed exclusively for inspection of meat block meat and is capable of detecting injection needles that were unable to be detected with conventional metal detector. 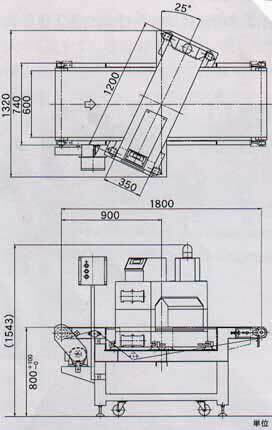 Capable of detecting injection needles. 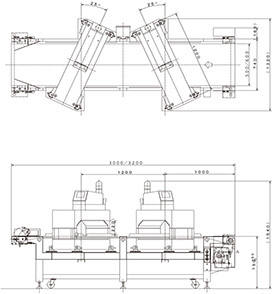 Detection unit (search coil) employs a double structure for accurate detection. 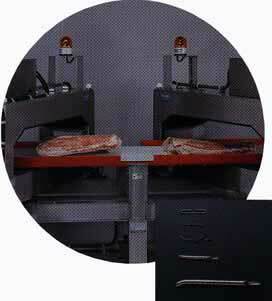 Capable of detecting metallic contamination in large meat sizes up to 20 kg/pc. Alarms emitted using light and sound when detecting. 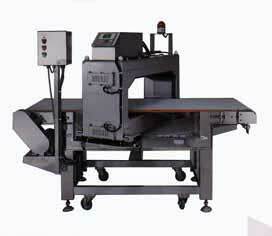 *1: Detection sensitivity may vary according to product size, shape and material of needles and metal piece.